Yesterday morning, I woke up, went downstairs, and ate a big bowl of Cinnamon Toast Crunch; I then took my hyperactive dog, Stella outside to do her business. It sounds like a typical Sunday morning and for the most part it was. However, I trudged upstairs and pulled out my DC Comics shirt that is jam packed with heroes and villains. There are so many different characters I can’t name them all. I was getting ready for AwesomeCon at the Washington Convention Center in Washington D.C. The show began on Friday and ran until 5p.m. Sunday evening. The main convention hall was downstairs, but upon entering from the front of the convention center there were three rooms: one for convention goers to check out the latest tabletop games, one for console and PC games, and the third had a demo of Artemis: Space Bridge Simulator. All three rooms were chock full of convention goers getting their game on, whether they were taking each other on in Mortal Kombat X or playing some Fluxx and Settlers of Catan. Once I finally made it downstairs, the exhibition hall was massive. You were greeted with tons of vendors from as far away as upstate New York. Anything a geek-lover could want was available for purchase. There were tons of vendors with Funko Pop! vinyl bobbleheads. If you were looking for comics, there were plenty. Some vendors had single issues for 50 cents while others were selling 15 for only $1. There were plenty of vendors selling cosplay wares as well. There were leather makers and sword dealers. If you were looking for old school Star Trek VHS tapes, my local comic shop, Fantom Comics, had a big display just waiting to be taken home. There were all kinds of t-shirt vendors. My favorite was TeeMinus24 that had a classic 80s shirt with a print design, “Tattooine A place in the Suns.” Many of the dealers were also selling Magic the Gathering cards. One vendor allowed you to pay $5 to roll a bunch of dice to determine what your prize would be. Beside the 501st Legion was the R2 Builders Club that debuted a life-size remote-controlled R2-D2 complete with the beeps and boops. The Rebel Legion – Terrapin Base also had a life-size landspeeder. Unfortunately, it seemed the 501st Legion and the Rebel Legion were cooperating with each other instead of hunting each other down! After making my way through all of these vendors, I finally made it to the creator booths. There were tons. I stopped and chatted with a few including Ben Templesmith. I asked Ben a couple of questions regarding his upcoming book Dagon. He informed me he was halfway done and if you enjoyed The Squidder, he hinted at a possible second story arc. 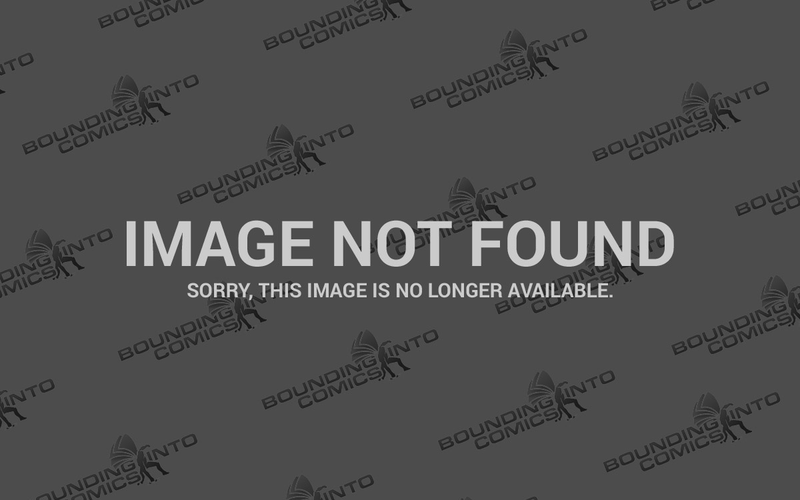 I also spoke with Rat Queens writer Kurtis Wiebe. Unfortunately, Wiebe informed me that Stjepan Sejic has taken ill and will no longer be able to work on the book. Luckily, Wiebe has already found a replacement and there shouldn’t be any delays in production! We do hope Stjepan recovers. There were a number of lesser known artists and creators as well. Kata Kane was showing off her webcomic, Altar Girl, about a Catholic school-girl who has to fend off angels and demons as well as bullies and exams while she tries to get her guy to notice her. Jamar Nicholas, author of Fist, Stick, Knife, Gun was on hand where we chatted about #BlackComicsChat. #BlackComicsChat is a twitter hashtag where folks from all over discuss emerging market trends and the latest and greatest comics featuring black creators and characters. If you haven’t stopped by to catch one of their interviews, you definitely should. I also spoke with a couple of other artists and writers including Carl Yonder who was showing off his latest work, Pirate Eye, which features a pirate private investigator set in the golden age of piracy! Oliver Mertz and Mike Isenberg introduced me to First Law of Mad Science where a brilliant scientist, George Baker’s latest invention, “Cyber Eyes,” starts malfunctioning and sends George and his family on a journey where he will discover ancient civilizations, crazy cults, and even creatures from another dimension. AwesomeCon was a fantastic first ComiCon experience. Unfortunately, I was not able to make it to any of the interesting panels due to the sheer enormity of the exhibition hall. I will definitely have to plan to attend multiple days in the future so I can take in all of what AwesomeCon has to offer. 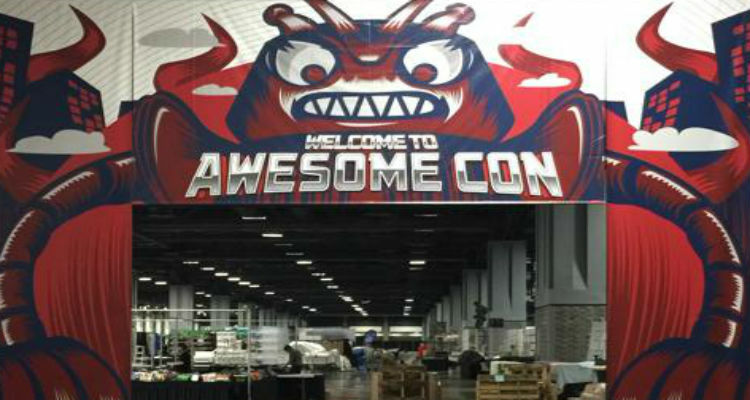 Were you at AwesomeCon this year as well? Tell us about your experience. Did you get any scoop from your favorite artists and writers? Scott Snyder Reveals American Vampire Will Return In 2018 at Awesome Con 2017!